I used the app together with my four-year-old daughter, who is very well-versed in the alphabet and loves to name what words begin with each letter. She had the most fun recording herself saying “E is for Easter egg” and “O is for owl” and then playing back the recording to hear what she said. She also took a few seconds on each page to touch the screen everywhere and hear and see the names of every item she touched. You even get the names of pictures whose names change. For example, you can touch the egg and hear “egg,” but once it hatches and a baby chick emerges you get a new word–“chick.” Pretty clever! If you haven’t used an app from Oceanhouse Media before and you work with young children, you will definitely want to start. Their apps are great early literacy tools. In addition to reading the story, users are able to touch various parts of the illustrations and both see and hear the word for that item. For example, if you touched grass, you would hear the narrator say “grass” and would see “grass” written out on the screen. This is great for showing that letters have meaning! Oceanhouse Media’s newest offering is Little Critter ABCs. 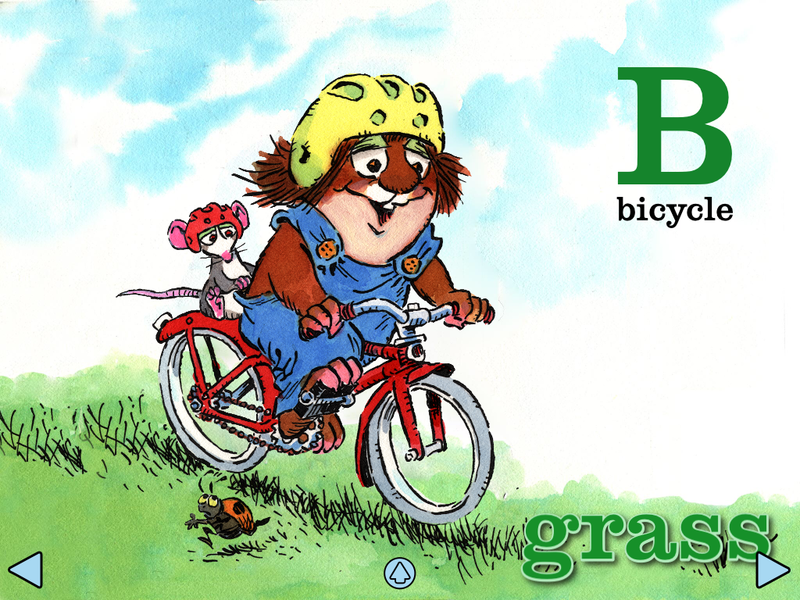 This title is based on the board book by Mercer Mayer, but the book is hard to find in both libraries and bookstores. By turning a board book edition into an app, the title becomes more accessible to everyone and I can use in on my large screen. What I really like about this alphabet app is its simplicity. On each page the narrator (or you) says the letter and the word beginning with that letter. For example, you might hear “D, dog”. If I am using this app in its entirety, it works really well for the 2-3 year old age group. Because it is an alphabet app, it also would work well if you were introducing a letter of the day. You could use just one specific page to highlight your letter. 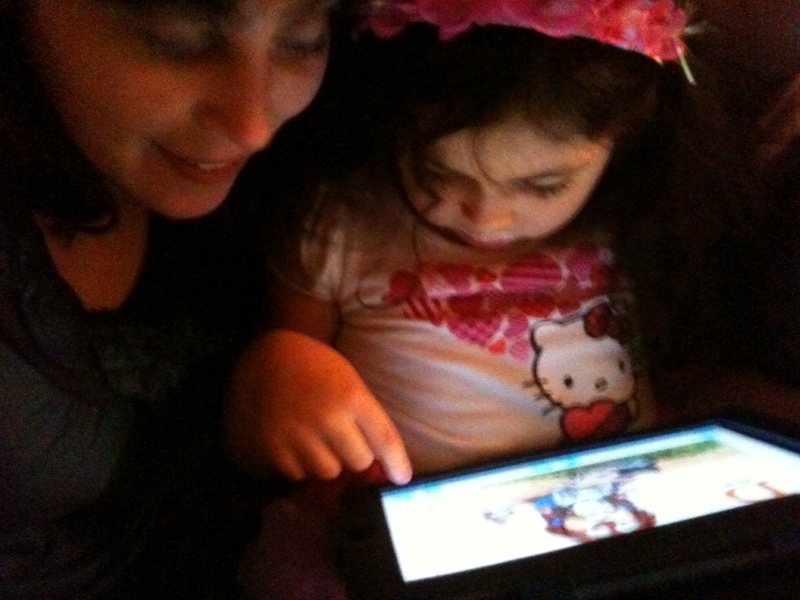 We run an iPad-based storytime at our library called Tablet Tales. I will be adding this to our June lineup which will cover ABC apps. It pairs really well with Wee Sing & Learn ABC, My A-Z, and Jamaroos Musical ABCs. If you are looking for “playing” apps to go with this one, check out Alphabeasties, Alphabet Aquarium School, and Endless Alphabet. Little Critter ABCs is only available through iTunes at this time. It has a special introductory price of $.99. Posted on May 21, 2014, in Apps and tagged AnnMarie Hurtado, Lisa Mulvenna. Bookmark the permalink. Leave a comment.